This in-depth analysis of an important event in Congo’s history discusses significant revelations concerning international politics. The recent US Senate report describing the use of “enhanced interrogation techniques” has again placed the CIA in a controversial light. The role the Agency played in the grizzly assassination of Patrice Lumumba, the first democratically elected prime minister of the Democratic Republic of the Congo more than half a century ago, shows that these methods have deep roots. Professor Emmanuel Gerard, of the the Faculty of Social Sciences at the University of Leuven, and Bruce Kuklick, Nichols Professor of History Emeritus at the University of Pennsylvania, present a chilling account of amoral forces unleashed in the service of government, in Death in the Congo: Murdering Patrice Lumumba. 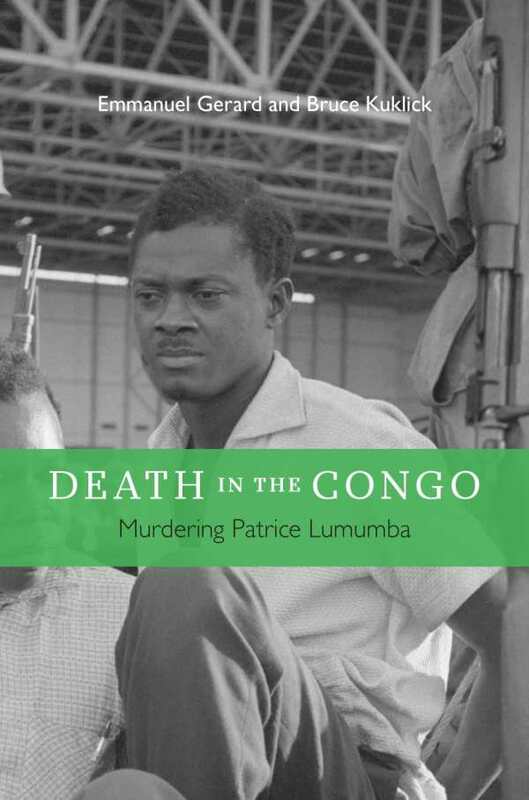 Although at times the text becomes mired in facts about Belgian, American, and African political officials and CIA operatives, this is ultimately a gripping and sad tale of Lumumba’s murder. In June 1960, Belgium granted independence to the Belgian Congo, one of its former colonies, and Lumumba was promptly elected prime minister of the Democratic Republic of the Congo, six months before he was murdered. The authors are most effective at describing the supposed benefits that the US, the UN, and some African leaders would gain from Lumumba’s removal. Although the CIA played a major role, it did not act without both President Eisenhower’s and King Baudouin’s knowledge and plausible deniability. Scholars will appreciate Gerard and Kuklick’s in-depth discussions about the murder’s root causes and the emergence of new African nations during the Cold War. Lumumba’s imprisonment, escape, and death by firing squad is described in a style that rivals best-selling espionage novels. This brief but complex account, teeming with violent and corrupt characters, requires a scorecard, and fortunately the authors include it: an essential glossary of names, helpful maps, and a concise, well-crafted conclusion that ties together this tragic cautionary tale of politics run amok. The authors unravel the events of Lumumba’s assassination in a book that will leave no one sympathetic to those who participated in the killing of this popularly elected leader.